RB Leipzig vs Borussia Mönchengladbach – Saturday, September 16 17:30 BT/18:30 CET – Red Bull Arena, Leipzig. For many viewers, Saturday evening’s Bundesliga clash between relative newcomers RB Leipzig and old-timers Borussia Mönchengladbach presents the pick of the Match Day 4 programme. This is the moment that German football’s nouveau riche comes face to face with the landed gentry of the Bundesliga. And yet, in spite of the romance that such an assignation might conjure up in mind, it is unlikely that there will be any such romance on the pitch when the first whistle blows. Money, so the saying goes, talks. And RB Leipzig have a lot of money. Where RB Leipzig have spent their money, they have spent it wisely: carefully enough to earn a place at the top table of European football—the Champions League. With the supervision of the two Ralphs—Rangnick and Hasenhüttl—the Leipzig outfit have constructed a finely-balanced machine, carefully constructed from some of the most exciting youngsters from around Europe. This is not money-for-money’s-sake then but careful investment with an eye to the future. And that future has carried the club-formerly-known-as-SSV-Markranstädt from its lowly place in NOFV-Oberliga Süd (V) all the way to a second-place finish in the Bundesliga last season. Where last season began in style with a record string of 13 games unbeaten, this season opened in a somewhat more muted manner: a loss at the hands of fellow contenders Schalke brought Leipzig back to earth with a resounding bump. Since then, though, the swaggering braggadocio that Hasenhüttl had engendered amongst his young charges in previous season returned, and RB Leipzig find themselves climbing the Bundesliga table once again. With Timo Werner hitting a rich vein of form and new recruits Bruma and Jean-Kevin Augustin settling in nicely, all is well in the East of the country. For Gladbach, however, a malaise has set in: a hard-fought win on the opening day against 1.FC Köln was followed up with two dropped points at Augsburg, and then a subsequent three dropped points at home to Eintracht Frankfurt. 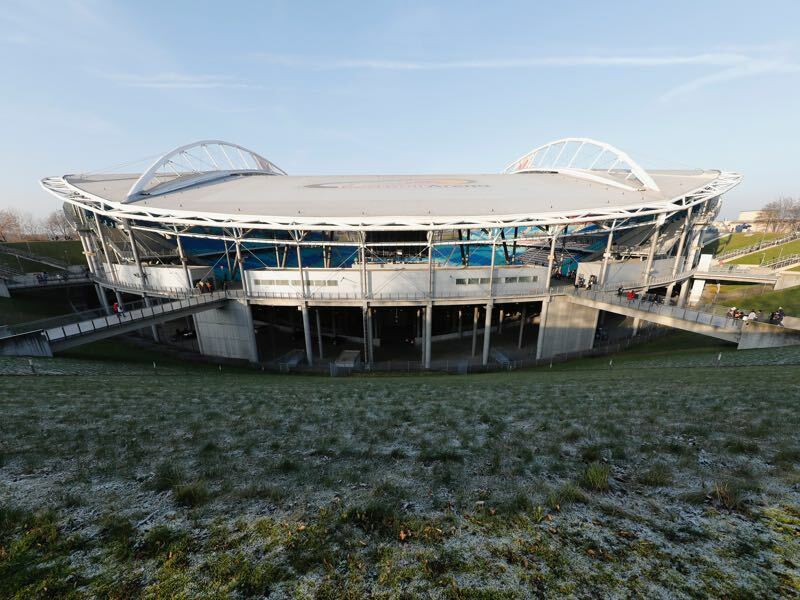 Just three games into the season, then, Die Fohlenelf are very much on a downwards trajectory which they will hope to reverse at the Red Bull Arena. Where the Rhineland side do have the edge is on the Spielplan: with RB Leipzig opening their Champions League account against Monaco during the week, Gladbach will be hoping to capitalise from Leipzig’s necessary squad rotation. Facing RB Leipzig last season, Gladbach encountered the full force of Die Roten Bullen’s formidable double pivot of Naby Keïta and Diego Demme. On Saturday, it is more likely that they will confront a central midfield two of Kevin Kampl and Konrad Laimer. This notwithstanding, RB Leipzig go into the match as firm favourites, and it will take all of a full-strength Gladbach’s aptitude to break them down. Ralph Hasenhüttl has made no bones about the fact that summer signing Bruma offers something that the club previously lacked. His capacity to take on players in one-on-one scenarios has meant that he has terrorised players in wide areas throughout the early part of the season. But, as anyone who watched him in the Freiburg fixture will have seen, the Portuguese youngster is not simply a wily dribble and a good cross: a sumptuous finish from outside the box put Bruma on the radar of many fans of the Bundesliga, and it is likely that his goal-scoring antics will end there. 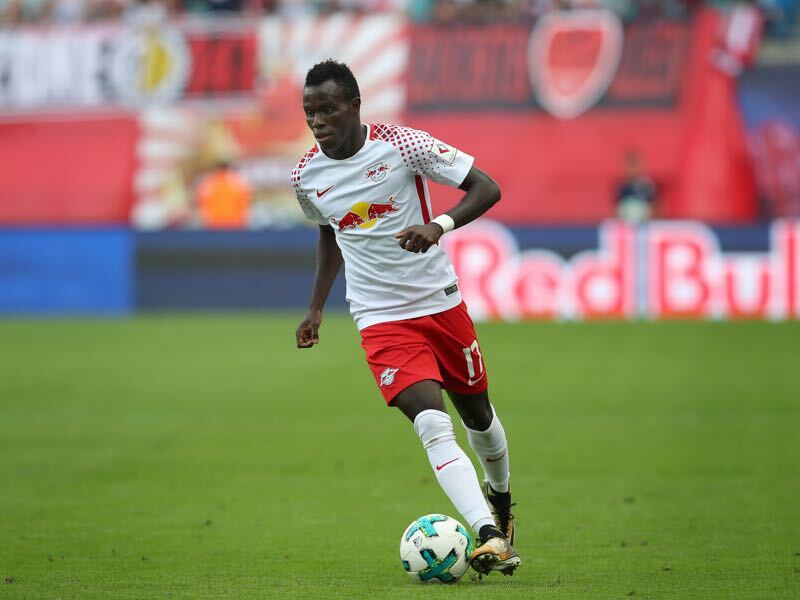 With Leipzig fighting on three fronts this season, it will be substantial for Bruma to make his mark this season and it is in games like this one against Borussia Mönchengladbach where he needs to shine. For any team playing in a 4-4-2 in modern football, the precise makeup of their central midfield becomes fundamental. Where most sides favour three in the central area, a midfield two will have to be able to link defence and attack while, at the same time, mitigating the effects of the opponents extra man. 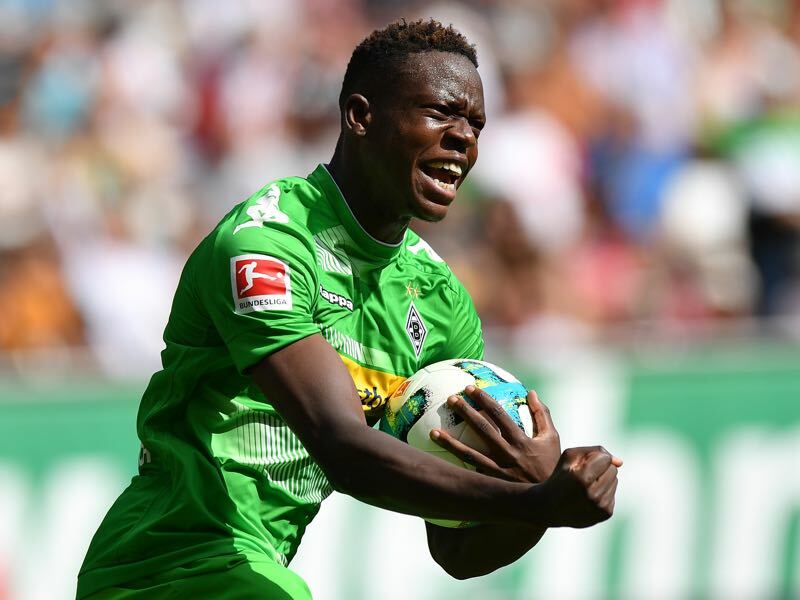 As such, Denis Zakaria is essential to Gladbach’s 4-4-2 hybrid—operating as a box-to-box midfielder just ahead of Christoph Kramer but dropping deep to help him out in defensive positions. In this sense, parallels could easily be drawn between Zakaria and the early-Manchester-City-years Yaya Toure: that capacity to win a ball and turn defence into attack within a few seconds. It is noticeable, therefore, that Gladbach’s fluid interplay which sees both strikers dropping into deep positions to win the ball, only really prospers with Zakaria on the field to offer a certain amount of rigidity. Given that last season was RB Leipzig’s first appearance in the Bundesliga, these two teams have only faced each other twice before. Having drawn at home, Leipzig managed to pull off a win at Borussia Park meaning that Gladbach have never beaten them. Three games into the season, Gladbach have a win, a draw and a loss to their name. Despite losing their opening fixture to Schalke, RB Leipzig have managed to bounce back with two wins in a row. Although these two teams have only faced each other twice, their managers have encountered one another five times in both the Bundesliga and the Pokal. As things stand, they are honours even with both managers winning two, drawing one and losing two. RB Leipzig are famous for recruiting youngsters. On a comparison of the average age of their squads, Leipzig come in at 24.3 years a full year younger than Gladbach’s 25.3 years. Thus far in the Bundesliga, Gladbach have only scored three goals, none of which have been netted by a striker. By contrast, RB Leipzig have scored 6, 3 of which have been scored by striker Timo Werner. Manager: Dieter Hecking Jon Mackenzie has a portfolio career which includes freelance journalism, cryptic crossword setting, bar tending and lecturing at universities, amongst other things. You can follow his tweets @Jon_Mackenzie, listen to his podcasts at ateamofjohnosheas.com and read his writes at jonmackenzie.com.